Really? This is supposed to be ‘Anglican’ Memes and Humour, not ‘Politically-slanted’ Memes and Humour. This really annoys me. Stay out of politics please, low blow and judgmental. There is the other Bible passage that says if a man doesn’t work he doesn’t eat ..Disappointed in you .One can twist scripture to ones views . Brilliant! 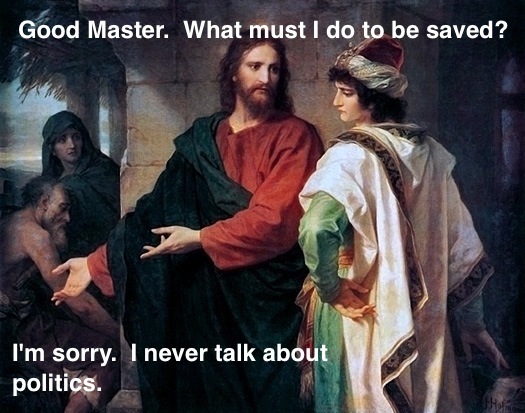 Anyone who thinks Jesus doesn’t do politics clearly hasn’t read the Gospels! The Lord’s Prayer itself is a massive political statement and the cartoons you show above just show how political he was! Ditto the sermon on the mount and Jesus’s mission statement at the synagogue in Nazareth. 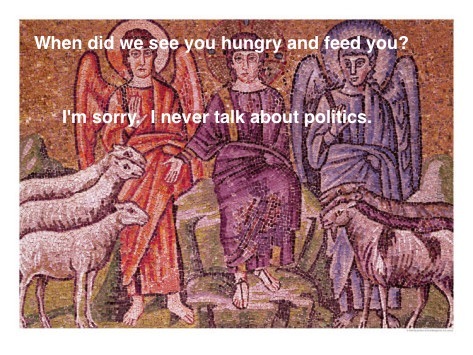 Of course Jesus did politics! He doesn’t seem to be that concerned about Rome but the Jewish theocracy was still in place under Roman rule, as local rulers were usually in all their subject states. And his attitude to that theocracy was pretty similar to stuff I see addressed to politicians on facebook. ‘Ye brood of vipers’ for instance. I love these – keep them coming! This is so apt that I wish I could “like” it twice. 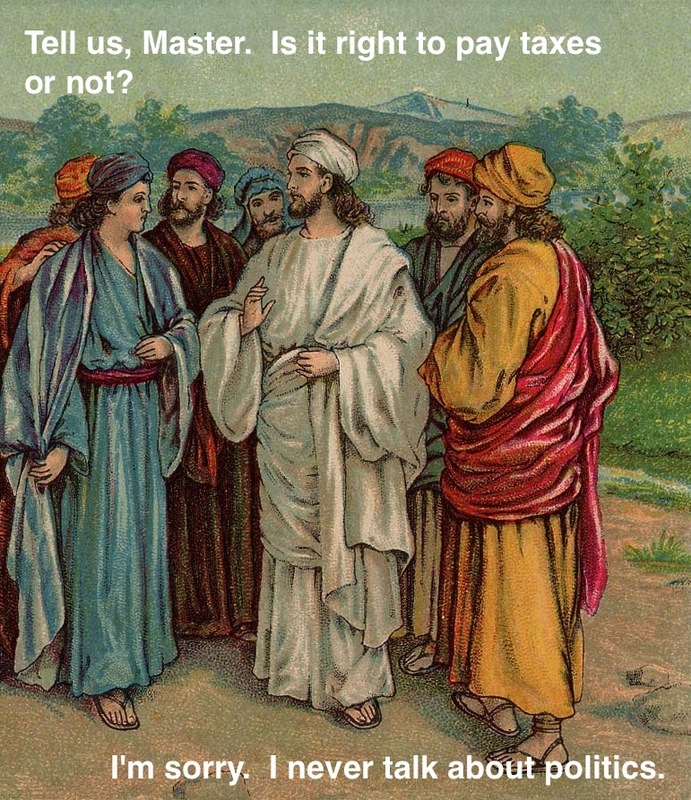 If Jesus didn’t “do” politics, then what was all the social justice stuff He talked about? Read J P Yoder’s classic book – read way back but title something like “The Politics of Jesus” It blew any doubts I had that Jesus “did” politics! He had more to say about economics and politics than about many other things.